A classic t-shirt with a playful zebra print. 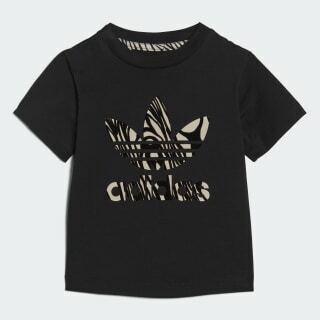 Bring out their inner wild child with this playful t-shirt. A big Trefoil logo on the front is filled with a bold striped zebra print. The same pattern is echoed on the back neck tape. 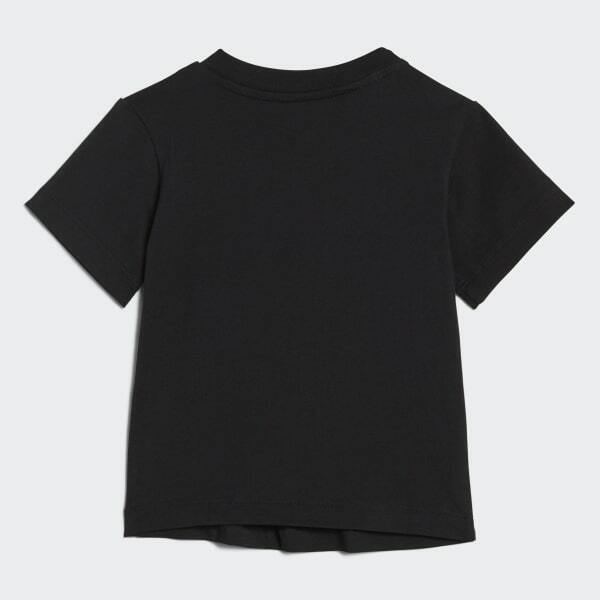 It's made of cotton jersey for a classic t-shirt feel.